“The area was clearly a hub point for people to come to from many miles away, and in many ways was a forerunner for what later went on at Stonehenge itself. Mr Jacques said the River Avon, which runs through the area, would have been like an A road with people travelling along it. “They may have had the equivalent of local guides and there would have been feasting,” he added. Previously, Thatcham in Berkshire, 40 miles from Amesbury, held the record for the longest continuous settlement in the country. 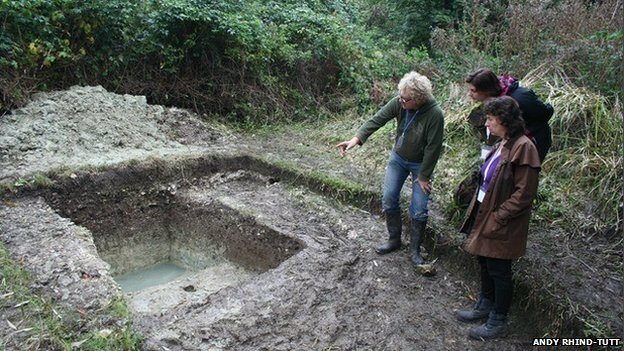 The dig in Amesbury also uncovered 31,000 worked flints in 40 days as well as animal bones such as frogs’ legs. Mr Jacques said our ancestors were eating a “Heston Blumenthal-style menu”. The find was based on a report by fossil mammal specialist Simon Parfitt, of the Natural History Museum. Andy Rhind-Tutt, the founder of Amesbury Museum and Heritage Trust, said there was “something unique and rather special about the area” to keep people there from the end of the Ice Age, to when Stonehenge was created and until today. “The fact that the feasting of large animals and the discovery of a relatively constant temperature spring sitting alongside the River Avon, may well be it,” he said. The dig was filmed and made into a documentary by the BBC, Smithsonian, CBC and others to be screened later in the summer. 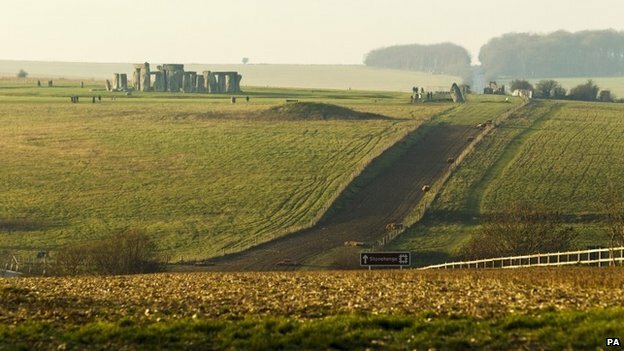 Nestling within a loop of the River Avon alongside the A303 just 1.5 miles from Stonehenge, Amesbury is a destination not to be missed. With recent evidence of continuous settlement since before 7500BC and a breath-taking Mesolithic collection that is greater in quantity (from one single location) than any other found in this country, the town’s new Museum at the Melor Hall, Church Street will amaze visitors with its story of life before the Stones and its mind blowing artefacts from the Town where History began.